Located in the Heights for over 35 years, HITS Theater is a leading nonprofit performing arts education organization for young people. In addition to wonderful, family friendly, and affordable performances, HITS provides production and technique training through after-school and weekend performance based-classes. Each year, HITS serves approximately 900 students, grades 1 through 12, at their Heights theatre home. The theater also demonstrates a strong civic commitment, developing theatre education classes during and after school. This allows our local public schools to deliver and augment their current performing arts curriculum. Currently outreach programs are in place in the Heights at Harvard Elementary and, new this year, Hogg Middle School. HITS is a 501(c)(3) organization. Individual support is their primary avenue for funding their mission to "inspire youth through the power of theatre." In addition to the support of patrons, they have one amazing fundraiser: The annual American Girl Fashion Show. The American Girl Fashion Show attracts a diverse, family oriented audience, and features an interactive and stylish showcase of historical and contemporary fashions by the ever popular American Girl. Attendees also get a seated meal, raffle prizes, take-home treasures, and more. HITS is currently seeking approximately 125 girls, ages 6-13, to model in this show. They will be holding model calls this weekend, August 29th and August 30th. HITS Theatre is holding a model search for its upcoming American Girl Fashion Show®. Girls ages six to thirteen are invited to audition to be in the fashion show, which features American Girl® historical and contemporary fashions as well as the Girl of the Year doll, Grace. Model searches will be held on Saturday, August 29 from 1:00 p.m. to 4 p.m. at Memorial City Mall (303 Memorial City Way) and Sunday, August 30 from 11:00 a.m. to 1:00 p.m. at Barnes & Noble – River Oaks (2030 West Gray). HITS Theatre is looking for approximately 125 girls to model historical, contemporary and Bitty Baby fashions in the fashion show. Auditions are held on a first-come, first-served basis. Girls who pre-register are seen first. Pre-registrations are accepted through August 24, but walk-ins are also welcome. The audition is free, but there will be a model fee of $45 for girls selected to participate in the fashion show. Model s will be selected based on their resemblance to the American Girl® dolls and whether they fit in the size 10 and 6x clothes provided by American Girl®. To download a model application and learn more about the fashion show, visit www.hitsfashionshow.com. Saturday, November 14, 2015 at 10:00 a.m. and 1:00 p.m.
Sunday, November 15, 2015 at 1:00 p.m. and 4:00 p.m. The show takes place at the Junior League of Houston. 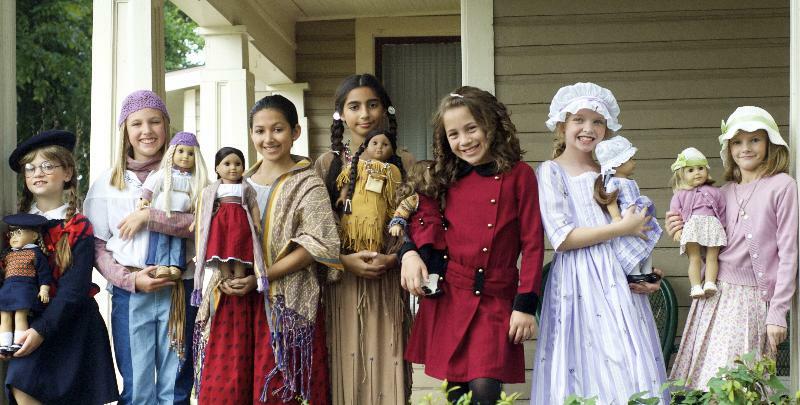 Adults and children are invited to attend as the American Girl® dolls come to life. The show features a showcase of historical and contemporary fashions , with an array of outfits, from sleepwear to fancy dress. A limited number of advance general admission tickets will go on sale August 29 and 30. Information on purchase of advance tickets will be available at the model search events. Tickets sales open up online for all shows and all seats on September 21. All proceeds from the American Girl Fashion Show® benefit HITS Theatre, a 501(c)(3) performing arts education organization for Houston area youth. Sponsor tables are now available online and are the only way to reserve a runway table at the fashion show. Call 713-904-3777 or visit www.hitsfashionshow.com/sponsor to purchase a sponsor table. This is a unique and fun way to support art and theater in our community. If you're not interested in participating by attending, but want to assist HITS with their mission, you can always make a donation HERE. If you're not interested in donating cash, you can still support HITS via amazon.com, Kroger, and other rewards programs. Learn about how to do that HERE. Such an interesting article, I've really enjoyed reading this. 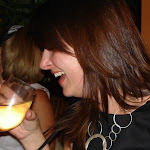 I have recently discovered Tony Charalambides fundraising blog, you should check it out. Quite an interesting post regarding this fundraiser! I think these kinds of events are extremely helpful. We all should always take part in charity shows as they are for good causes. We too will attend a charity event at domestic venue Houston. I hope we will be able to raise good amount for needy people. Subscribe To The Heights Life! There is now a central location for reuniting Heights area pets with their families! If you have lost your pet or found someone else's, please go here---> Houston Heights Lost and Found Pets page on Facebook. Concerned about crime in the greater Heights area?